Helping women reconnect with themselves, their passion, & take transformational quantum leaps aligned with their life purpose Welcome from Mariangela Parodi on Vimeo. Find out more. 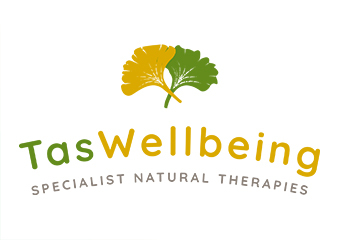 Welcome to TasWellbeing “I’m a strong advocate for improving your wellbeing by encouraging personal responsibility and knowledge”. Find out more. Herbal Medicine, Acupuncture, Natural Fertility Management, Traditional Chinese Medicine (TCM). Find out more. 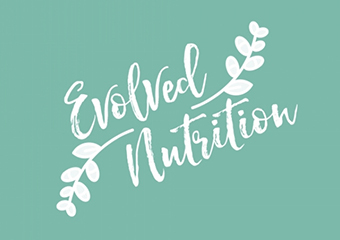 Let me provide you with the knowledge needed to improve and maintain optimal health Using Dietary advice, Iridology, Nutritional Supplementation, Hair analysis and Herbal tincture prescriptions and preparations I can treat all conditions naturally. Find out more. Herbal Medicine, Aromatherapy, Men's Health, Natural Fertility Management, Naturopathy, Nutrition, Weight Loss, Women's Health. Find out more. Do you suffer from Allergies, Back Pain, Stress, Fatigue or Digestive issues? Trained in Germany, Viola Hemm offers a comprehensive range of treatments to support and manage your health. Find out more. Health Coaching - Nutrition - Herbal Medicine - Homeopathy - Flower Essences - Hormonal Balance - Stress Management - Weight Management - Allergy Assessment and Desensitization - Natural Fertility Management - Women's and Children's Health - Pain Relief and Diabetes Management For All of Your Naturopathic Treatment Needs, You Can't Go Past The Red Door Centre. Find out more. Jackie Pisera is a registered acupuncturist with 20 years of experience in Natural Health. Find out more. Ready to make the next step in your health journey? Read on below to see how I can help you! Find out more. Dr Baldeep Kour is Co-founder & Chief Ayurveda Consultant of DEEP AYURVEDA® She earned her Ayurvedacharya Upadhi (Bachelor in Ayurveda Medicine and Surgery) from the renowned Medical Science University “Rajiv Gandhi University of Health Science” Bangalore (India), in 2006. Find out more. Acupuncture, Naturopathy and Nutritional services. Find out more. Trained in Australia and China, Andrew Lean combines acupuncture, Chinese massage and Chinese herbal medicine. Find out more. Herbal Medicine, Acupuncture, Traditional Chinese Medicine (TCM). Find out more. Herbal Medicine, Acupuncture, Beauty Therapy (Holistic), Bowen Therapy, Counselling, Dietitian, Hypnotherapy, Life Coaching, Massage - Connective Tissue, Massage - Corporate / Workplace, Massage - Deep Tissue, Massage - Pregnancy, Massage - Remedial, Massage - Sports, Mindfulness, Naturopathy, Nutrition, Osteopathy, Personal Training, Physiotherapy, Podiatry, Psychology, Psychotherapy, Reiki, Remedial Therapies, Sound Therapy, Spiritual Healing, Traditional Chinese Medicine (TCM), Weight Loss, Wellness Coaching, Workshop, Yoga - All. Find out more. Herbal Medicine, Acupressure, Aromatherapy, Beauty Therapy (Holistic), Children's Health, Crystal Therapy, Day Spas, Energy Healing, Flower Essences, Iridology, Lymphatic Drainage, Massage - Ayurvedic & Whole Body, Massage - Corporate / Workplace, Massage - Deep Tissue, Massage - Indian Head, Massage - Infant, Massage - Pregnancy, Massage - Remedial, Massage - Sports, Massage - Stone Therapy, Massage - Swedish / Relaxation, Men's Health, Naturopathy, Nutrition, Reflexology, Reiki, Women's Health, Yoga - All, Yoga - Anusara, Yoga - Ashtanga, Yoga - Corporate, Yoga - Hatha, Yoga - Pregnancy, Yoga - Satyananda, Yoga - Vinyasa. Find out more. 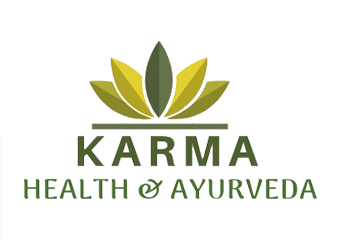 Welcome to Karma Health & Ayurveda Whether you suffer from a simple back pain or chronic medical disease, on solution choose Ayurveda, which is effective, natural and side effect free! Find out more. Mental health, physical symptoms + emotional distress, including fertility difficulties, PMT, PCOS, thyroid + digestive complaints, physical pain and relationship stresses are all symptoms of a body and/or mind that are out of balance. Find out more. 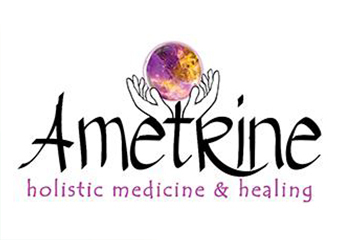 As a Herbal Therapies patient you will receive a comprehensive consultation looking at all aspects of your health, blood pressure check, health screening, bioenergetic scanning and current medications and supplements Bioenergetic scanning is optional and can identify blockages in the energy field that can effect your physical and emotional wellbeing. Find out more. Herbal Medicine, Iridology, Naturopathy, Nutrition, Wellness Coaching. Find out more. Are you interested in studying Herbal Medicine Courses?